It’s pretty common to hear American pop songs all over the world, including in Russia, but what kind of influence has Russian music had on Western music? Russian classical and traditional music and even literature inspired the songs on this list. The sixties were a time of rebirth for folk music, and the Australian group The Seekers adapted the Russian folk tune “Stenka Razin” for this song. Upon its release in November 1965, the song was rated number one in Australia and the United Kingdom and sold 1.75 million copies worldwide. 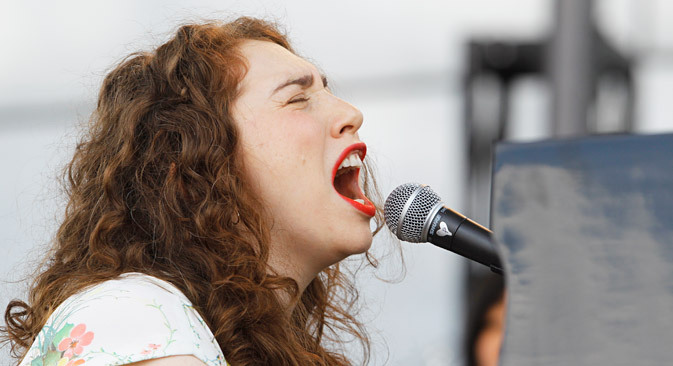 Regina Spektor was born in Moscow and immigrated to the United States when she was nine. She is a pianist and vocalist whose pieces are considered central to the culture of New York City’s East Village. She sings in Russian in several of her songs, including “Apres Moi”, where she quotes poet Boris Pasternak. The Kingston Trio recorded the song in 1961; Peter Paul and Mary included the song in their highly-popular 1962 album. This song, which you hear during the 7th inning stretch, was written by Irving Berlin. He was born in Siberia and immigrated to the United States in a wave of Russian Jewish immigrants in the late nineteenth century. Knowing his rags-to-riches story adds an extra feeling of soulfulness to the songs that he wrote. The Rapsody found its inspiration in Borodin’s opera Prince Igor in this 1997 release (the rap lyrics are unrelated.) The album “The Rapsody Overture: Hip Hop Meets Classic” also included “Schwanensee” by Scoota, inspired by Tchaikovsky’s ballet Swan Lake. This popular song from 1968 is an English translation of the Russian romance song “Dorogoi Dlinnoyu” (“By the Long Road”). The original Russian words were written by poet Konstantin Podrevskii and the tune was composed by Boris Fomin in the early twentieth century at the height of the Romance genre’s popularity. It was a number one hit for six weeks after its release.